At the end of March I was invited to photograph the Mad Hatter’s Ball for the AustCham, the Australian Chamber of Commerce. This was the annual ball and attended by the Australia/China business world. Charity of the night was Jackie Chan’s Charities. The night was fun! 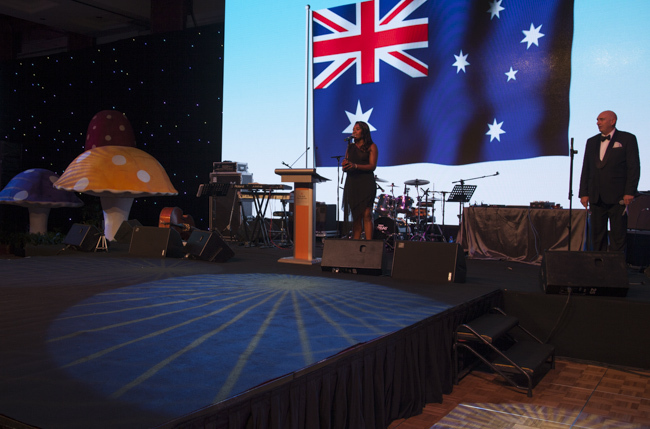 The photograph is of Paulini singing the national anthem.